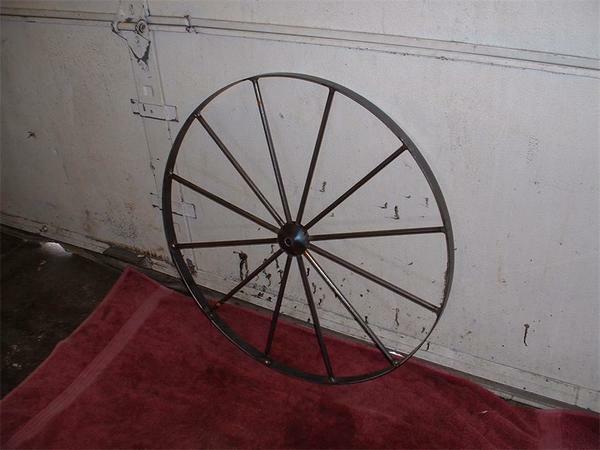 Our Amish Metal Buggy Wheel has a 30" diameter and will bring an interesting look to any room or outdoor space. We can see this piece being utilized as an accent in your dining room for a pop of country, or outside resting nicely near your garden. However you choose to make use of this buggy wheel, it is sure to last for many years of decorative enjoyment.